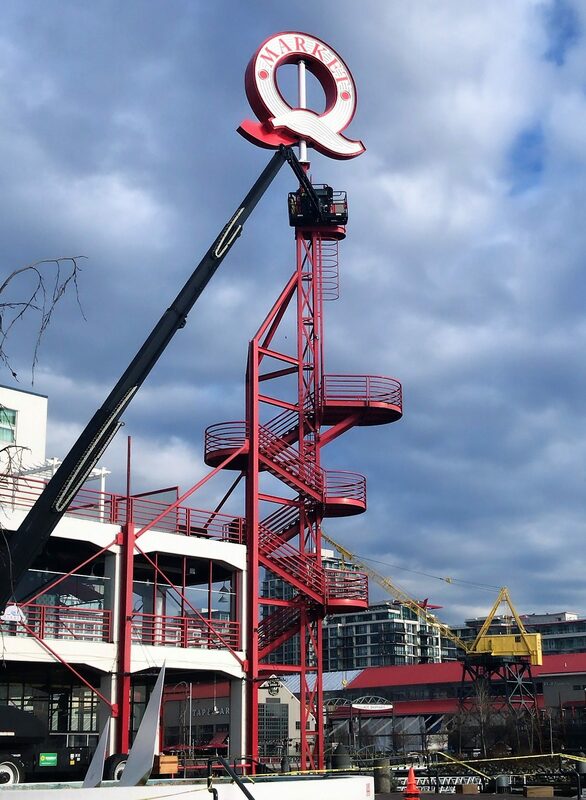 The Iconic Q Sign at Lonsdale Quay Market is finally back to turning! Earlier this week the Market took it down for maintenance to get it back to normal. It’s spinning better than ever now and we couldn’t be happier! – The sign sits over 60 feet in the air. – The Q sign is 5.5 metres tall and 5.8 metres wide. – Our Iconic Q sign turns twice per minute, making 2880 revolutions per day. – The original sign was put up nearly 33 years ago. – The Market replaced the Q Sign last year, making it lighter weight and replacing the lights with LED ones so it now uses less energy consumption than the original. – The sign stops moving when it gets too windy outside. – There are 77 steps to get to the observation deck of the Q tower. – The observation deck of the tower has a beautiful unobstructed view of the Vancouver skyline. – There are thousands of photos of the sign on Instagram. 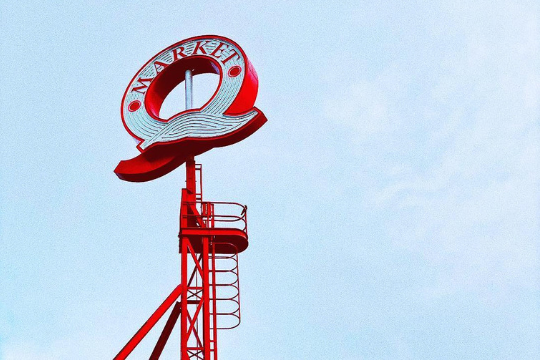 We’d love for all of you to share your favourite shots of the Q sign and the Market with us! On Instagram you can use #lonsdalequay, on Twitter our handle is @LonsdaleQuay and on Facebook you can tag us in your photo of the Market or post it to our page here.